First of all, I want to wish all of you a Merry Christmas and Happy New Year!!! I know it's late already for that, but as it says "Better late, than never." 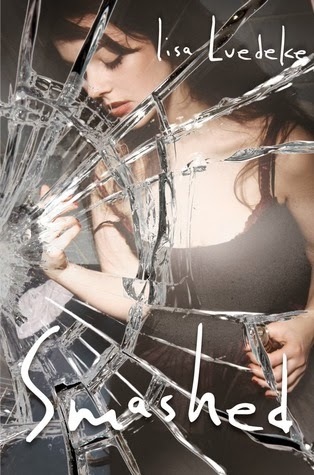 Right after I finished to write my first review here, which was, by the way, about "Bully" by Penelope Douglas, I started to read the book named "Smashed" by Lisa Luedeke, about which, I'm going to talk about. OK, so, let's get started!!! First of all let me say, if you don't know, that the book is about a teenage girl's life, Katie Martin, who has alcohol problems, which appeared because of her family issues, mother never at home, while father left home, she's a babysitter for her brother. She falls in love and later involves with the school bully, Alec, without listening to her friends' advices to stay away from him, because he is a bully, a bad guy, who thinks only about himself and no one else, but thinking that they are just jealous of him, and with her he's not like others say, he's acting nice, understanding and takes care of her, she continues to meet him. After listening to her own heart, she falls into the trap, and has to take the consequences. After reading it, or if you read it already, please tell me your thoughts about it, I want to know, what you guys think about it, maybe after reading your opinions I will get why events went on that, or this, way in this book.